Townfield Home Care is celebrating after receiving an overall ‘Good’ rating following their recent inspection by the Care Quality Commission. 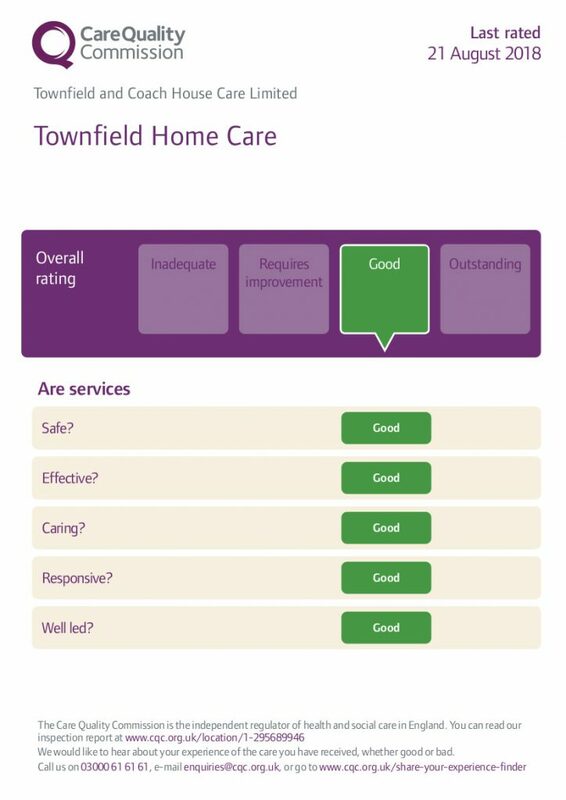 Townfield Home Care which is based on Church Street in Great Harwood was judged to be safe effective, caring and responsive. As part of the process, inspectors questioned the people using the service and their families and found that people were happy with the care they received and felt that ‘safe care’ was being provided.